TENACIOUS TOYS: To start off, what's your name and where are you from? STEFF BOMB: Hi! I'm Steff Bomb and I am originally from Philadelphia, PA but about two years ago I moved to Chicago. TT: What got you into creating designer plushies? SB: Around 2004, I read about an all plush art show, and something inside of me said, "YES! "...like a light bulb went off or both halves of my brain hi-fived. I guess I never realized that there was plush life beyond teddy bears. The next day I bought a really crappy cheap sewing machine, some fabric remnants, and button eyes, and taught myself how to sew. It was just a hobby then and I was really bad at it (and I am still working on being good at it). 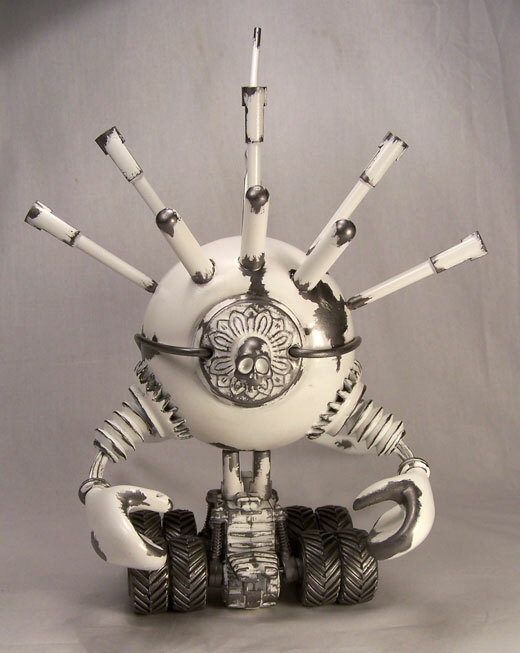 The first toy I ever made was supposed to be a robot, but really just looks like a gray turd with eyes. 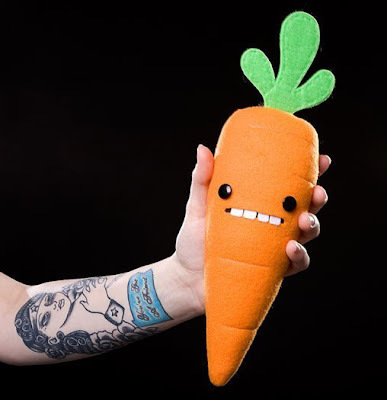 TT: So how did you progress from a gray robot turd to food plushies? SB: I don't know at what point exactly I made the jump from gray robo-turd to food, but it went something like this: robo-turd, ugly square Domo-ish monsters, ugly hour glass shaped monsters, food. I love eating and I'm always hungry, so I guess it just naturally worked itself out that way. It's like the Descendents said: I like food, food tastes good. TT: HA! So how do you choose which foods to turn into plushies? Does it come in a flash while you're eating that food? Or are you sitting around one day on your couch and it suddenly dawns on you that you need to make an ice cream sammich? SB: Pretty much both. Basically, I was trying to not be a fatty last summer (FAIL), but I wanted to eat an ice cream sandwich so badly. So, I made a plush one instead...which back fired because it actually made me want to eat one even more...then I did, and it was awesome. 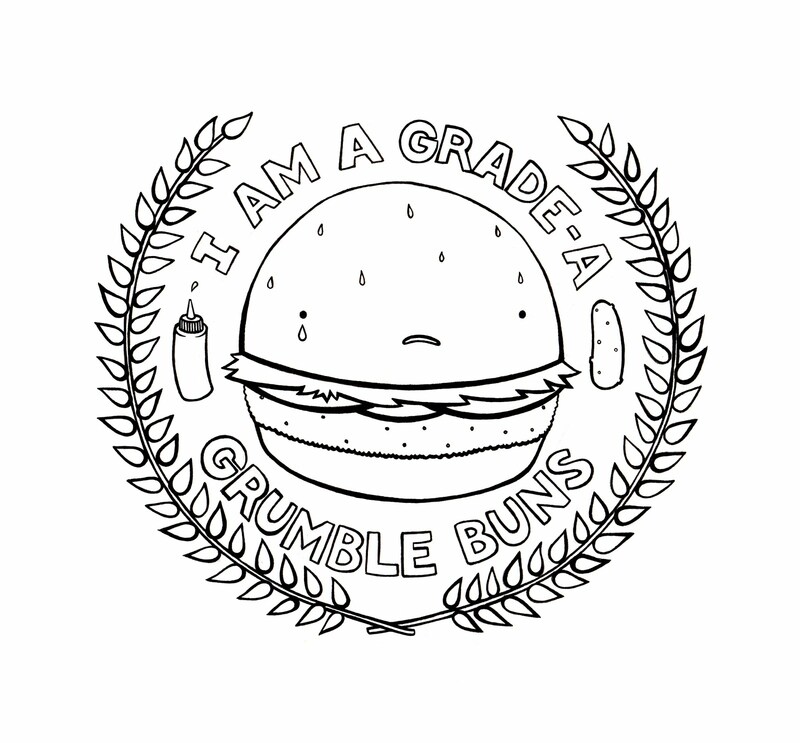 Currently, I'm working on something called "Grumble Buns" which is a grumpy burger...but it's also what I call my boyfriend when he is being a big ol' grumpus. I watched the Lord of the Rings trilogy the day before I made the wizard sandwich. 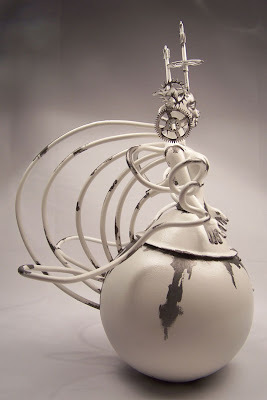 At the same time, I could be riding my bike and TAH DAH...out of nowhere I wanna make a whatever-bot-thing-wich. So I carry a notebook with me for that kind of stuff. Other than that, sometimes my brain turns into a giant fart and I can't think of anything to make...but I am very lucky to have some pretty clever and supportive friends. They always point me in a good direction. TT: You're hysterical! 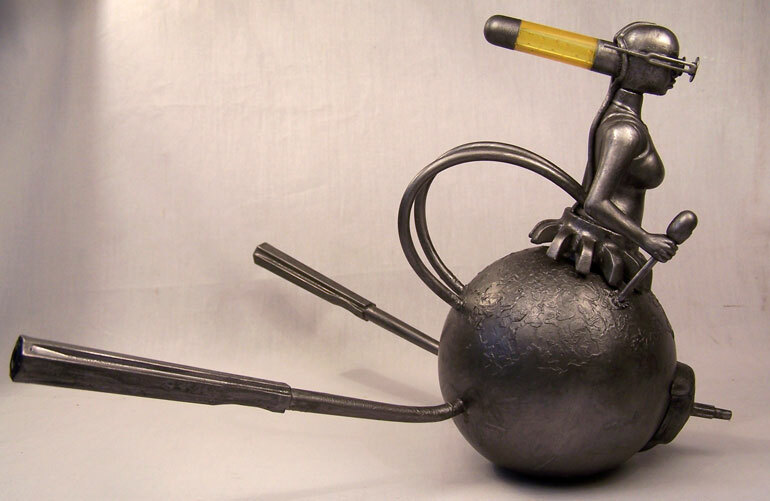 So what's next for Steff Bomb? Any new plushes in the works that we should look out for? Do you make any other Steff Bomb products besides plushies? SB: There are always new plush in the works. I have a dry erase board & a pocket sized notebook full of ideas that I want to sew. 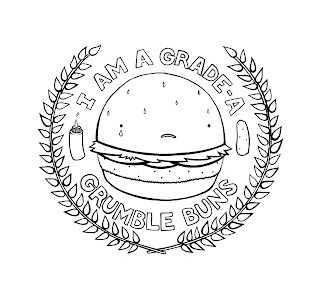 Grumble Buns is next though. I've drawn him an official seal, planned out a few friend for him (Would You Like Cries With That), a few variants, blah blah blah, etc. I just love making things so I tend to get a little a head of myself. I am also debating whether of not I wanna make a color variant of the chainsaws. Green mayhaps? 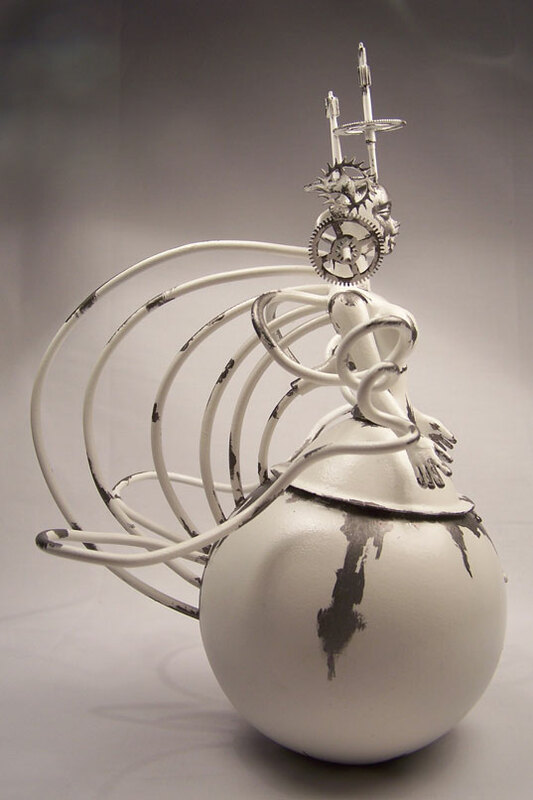 I make some things besides plush. I am making patches, I have buttons. I sew an occasional top tube pad for bikes. I made my very first print of a shark-horse the end of last year, but that was just a small run of 50 so they are long gone. 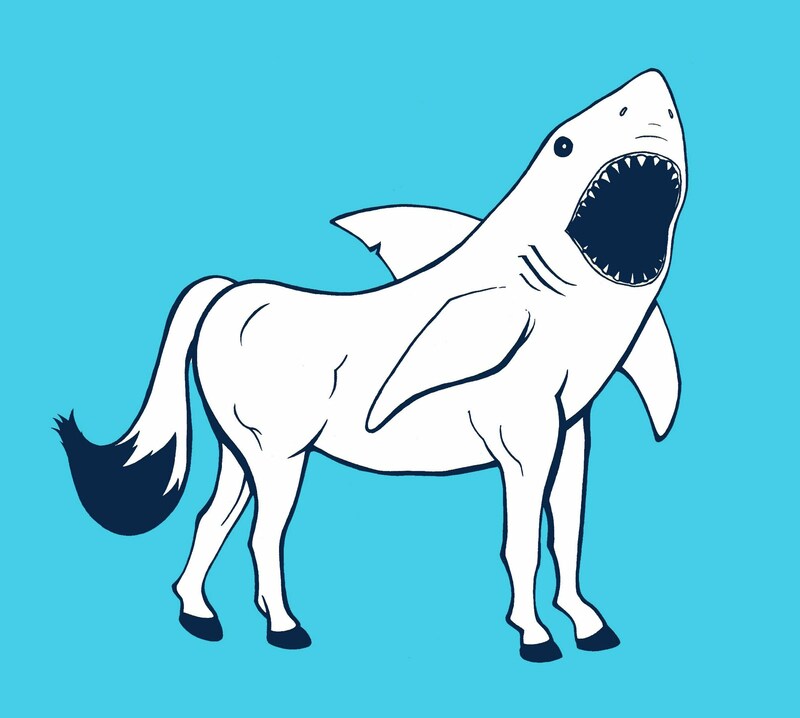 I am thinking about making shark-horse shirts but I don't know if anyone would want them. Ha. I just bought a Gocco Printer from my friend James (Veggiesomething), so I am really excited to use that. Also, I do artwork for records, band shirts, and show posters too. That's always a nice break from plush. Sewing may have consumed my life, but drawing is my true love. There are a lot of things I wanna sew and make. I always wanna do everything and all at once, but it's never as easy as I think it is. TT: Ain't that the truth. Well, we're excited for your next plushies! I just received our first shipment of plushes from you and I have to say, I am very impressed with the quality and execution. They are all perfect, every single one. Much better quality than some of the mass-produced plushes we've stocked. SB: Aww, shucks...thanks. ((totally blushing)) I don't know about perfect, but I try and make them as nice as possible. TT: Thanks so much for chatting it up with me! To learn more about Steff Bomb, visit her website SteffBomb.com, and support her by shopping for her plushes at Tenacious Toys or the Steff Bomb Etsy shop. And stay tuned for more info on Steff Bomb's Shark Horse and the other fun plushes she makes, by hand, slaving over an overheating sewing machine in the good ole US of A. 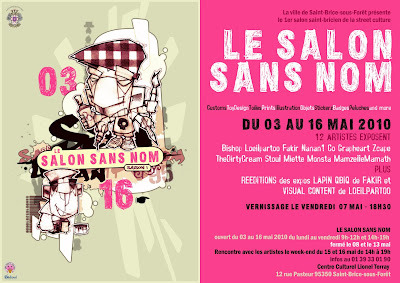 Go Steff Bomb! 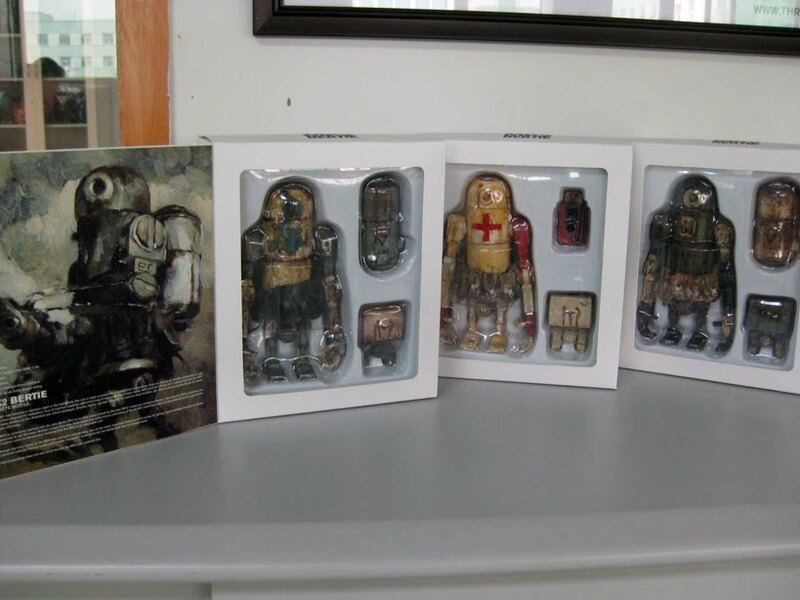 Posted on the ThreeA Production Blog is this shot of the retailer-version Berties, will all paint and decals applied, in package, as they will arrive here in not very long. ThreeA has notified me that they are ready to ship to us, so we are extremely excited to finally see these amazing toys! 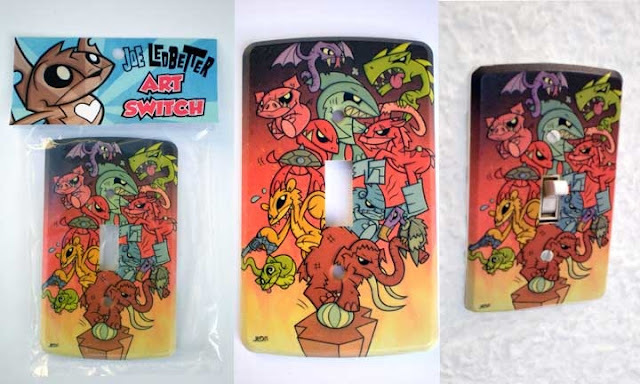 Joe Ledbetter Art Switch light switch covers coming soon! Incoming: Joe Ledbetter light switch covers made by The Loyal Subjects! 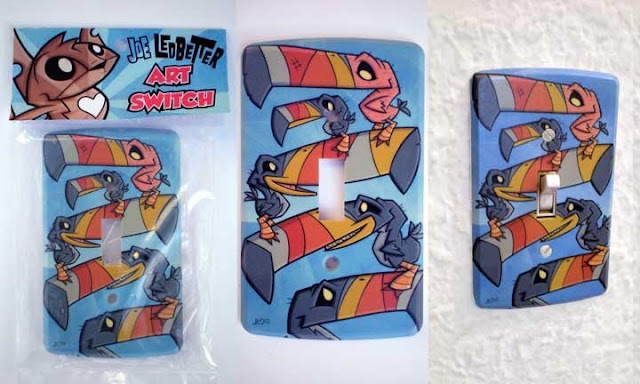 These cool light switch covers fit most light switches and are made from recycled plastic with high-quality digital JLED graphics applied. Preorder them now, will be here by May 10th! 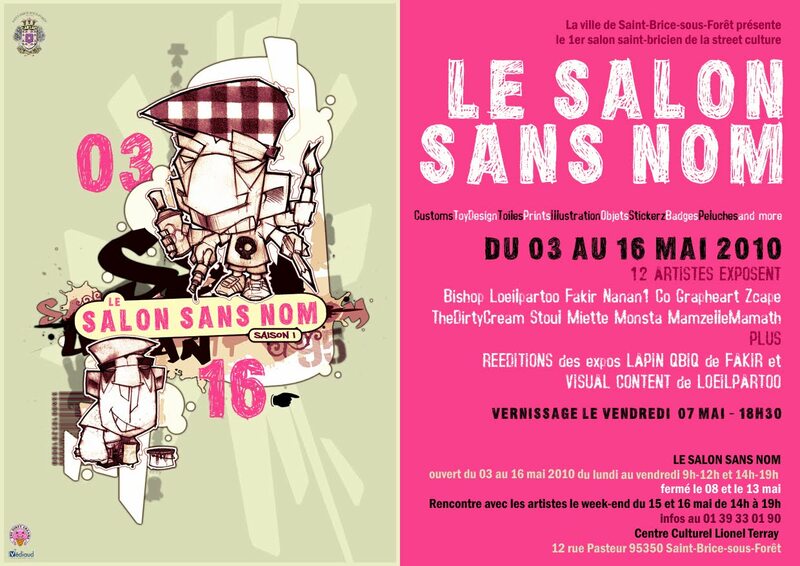 These are three found/recycled object pieces made by Gaël (aka Nanan1) for "Le salon sans nom", a french show near from paris joining twelve artists who come from street art, graffiti and art toy. FYI that means "the room without a name". 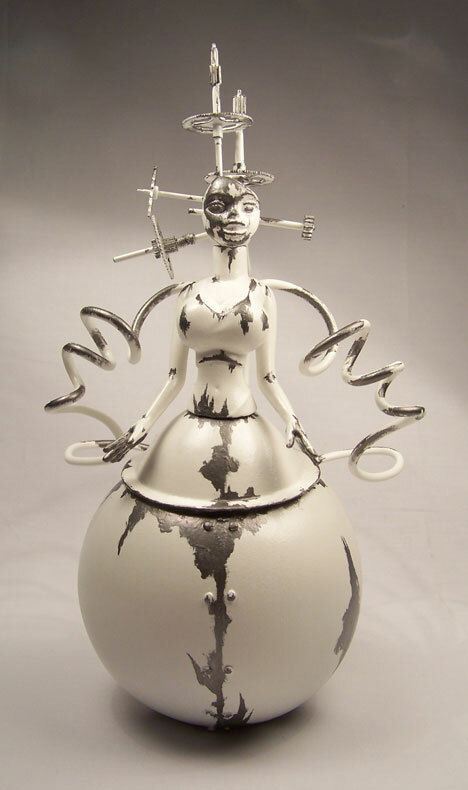 Find out more about Nanan1 here. 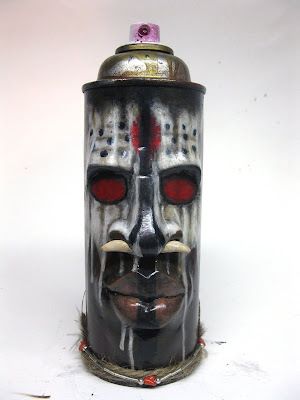 Finished spraycan custom for Dragatomi's "NoT Vinyl" show coming up this weekend. 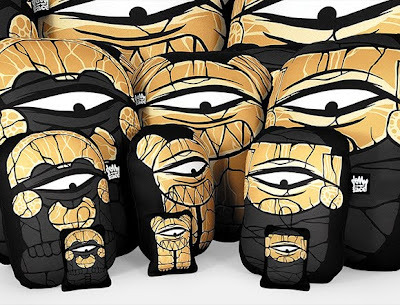 Jellyface has a series of new Inca-themed plushes coming out in a variety of sizes, a la Uglydoll's method of releasing the same plush in 4 different sizes. There's Inca Jelly Sovereign, Inca Jelly Feline & Inca Jelly Mummy, all available in 4 different sizes. You can also Like Jellyface on Facebook. gas masked rider 001, originally uploaded by doryphunk. 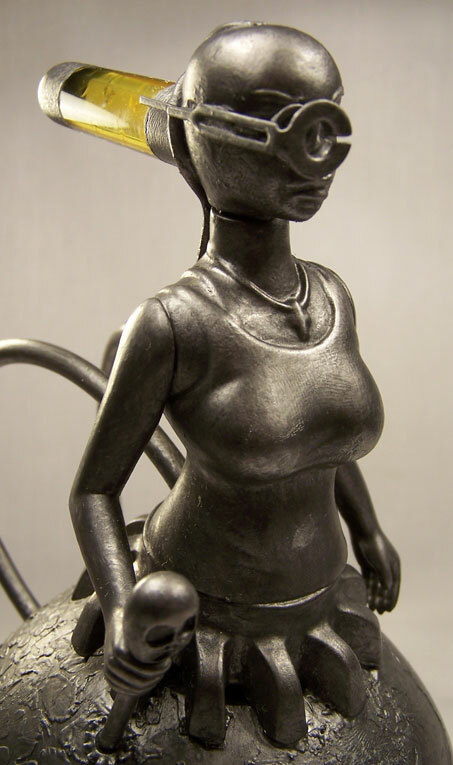 Entitled Gas Masked Rider, the piece was commissioned by a local collector, with both rider and vespa done up in 1/18 scale. Medium used: epoxy sculpt, acrylic paints, Maisto 1/18 scale Vespa, GI Joe figure.